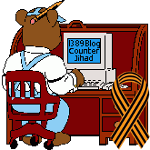 EMP (electromagnetic pulse) — 1389 Blog - Counterjihad! Yeah, we had to make the Internet shark-proof…it’s time to make it EMP-proof! Electric power grid attack: Iranians could have put Silicon Valley out of business for YEARS!